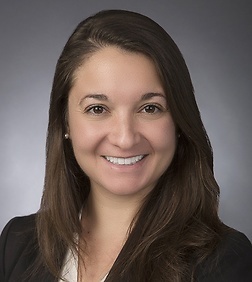 Anne P. Brickates is an associate in the Government Contracts, Investigations and International Trade Practice Group in the firm's Washington, D.C. office. Ms. Brickates's practice focuses primarily on government and internal investigations, white collar defense, and complex litigation matters. Ms. Brickates’s experience includes conducting internal investigations in response to criminal federal government subpoenas, criminal healthcare fraud and abuse matters, internal private school matters, Foreign Corrupt Practices Act, government contract compliance, and various other laws and regulations. Ms. Brickates has also assisted in representing clients in a variety of litigation matters, including state False Claims Act actions, commercial and government contractor disputes, trademark and copyright infringement, suspensions and debarment actions, and bid protests and interventions. Prior to joining the firm, Ms. Brickates was an intelligence analyst for the Federal Government and was a federal government contractor with a Fortune 100 company. Co-author, "Fraud, Debarment & Suspension Conference Briefing Paper," West Government Contracts Year In Review Conference, Washington, DC, February 23, 2018.